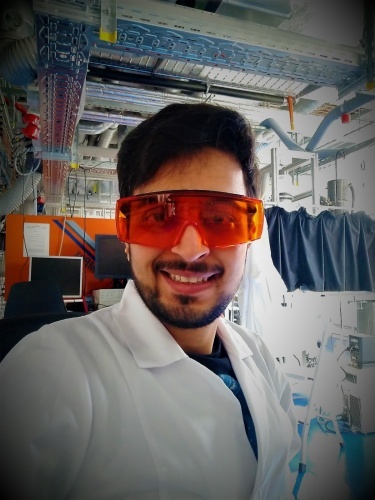 Kumar Sarang, NaMeS Ph.D student, went for a two months research internship at Leibniz Institute for Tropospheric Research (TROPOS), Leipzig under ERASMUS Plus program cofinanced by NaMeS project. The main objective of the mobility was to learn and explore the use of technique of laser flash photolysis in the field of atmospheric chemistry. The 2 months research visit at TROPOS allowed him to understand the use of laser flash photolysis techniques in the atmospheric chemistry with an emphasis put on kinetics of the atmospheric aqueous phase reactions. During his stay at TROPOS, he worked in Laser Lab and studied the kinetics of the aqueous phase reactions of green leaf volatiles with atmospheric radicals such as hydroxyl, sulfate and nitrate using a technique of Laser Flash Photolysis. The visit will directly impact Sarang’s research as results obtained are aligned towards the research required to complete his Ph.D. at IPC, PAS.